As the business school for The Americas, we are South Florida's most important business education resource and a recognized leader in international business education. Our Miami setting blends the advantages of a multicultural, urban, and ethnically rich center. The city is a business hub —connecting the two Americas and serving as regional headquarters for numerous multinational corporations. Technology, international commerce and banking, travel and tourism, and entrepreneurship all flourish in this dynamic environment. As the largest of Florida International University's (FIU) professional schools, we enroll about 6,000 undergraduate and more than 1,000 graduate students annually. We also serve the multinational business community through our extensive menu of executive and professional education programs. Admissions requirements to FIU's MBA programs vary somewhat from program to program. As a general rule, students with the best combination of grade point average, applicable test scores, and pertinent work experience who also meet specific program requirements will have the first opportunity to enter the programs, according to the school's webs...Admissions requirements to FIU's MBA programs vary somewhat from program to program. As a general rule, students with the best combination of grade point average, applicable test scores, and pertinent work experience who also meet specific program requirements will have the first opportunity to enter the programs, according to the school's website. Applicants to the school's popular International MBA program must submit the following materials: an official copy of an undergraduate transcript, with a GPA of at least 3.0 in upper-division course work strongly preferred; official proof of undergraduate degree; a current resume; a personal statement; and an official GMAT or GRE score report. In addition to the above documents, international students whose primary language is not English must also provide an official score report for the TOEFL or the IELTS. They must also submit their transcripts to a translation agency to be forwarded to FIU, and they must provide the following documents: Declaration of Certification of Finances (DCF); a bank letter; a sponsor letter if applicable; and an F-1 transfer if they already have an F-1 Visa. Chapman's Career Management Services office provides graduate students and alumni with counseling and placement assistance. The office works closely with the university's general Career Services Office to coordinate career fairs, on-campus interviews, and other career-related events. Students tell us that FIU's alumni network is large and very helpful.Top employers of FIU MBAs (including currently employed students attending one of the part-time programs) include: PricewaterhouseCoopers, B/E Aerospace, Commerce Bank, P&G, FPL, Fitch Ratings, Brightstar Corporation, Bank of America, Caterpillar, GE, and Choice Hotels International. 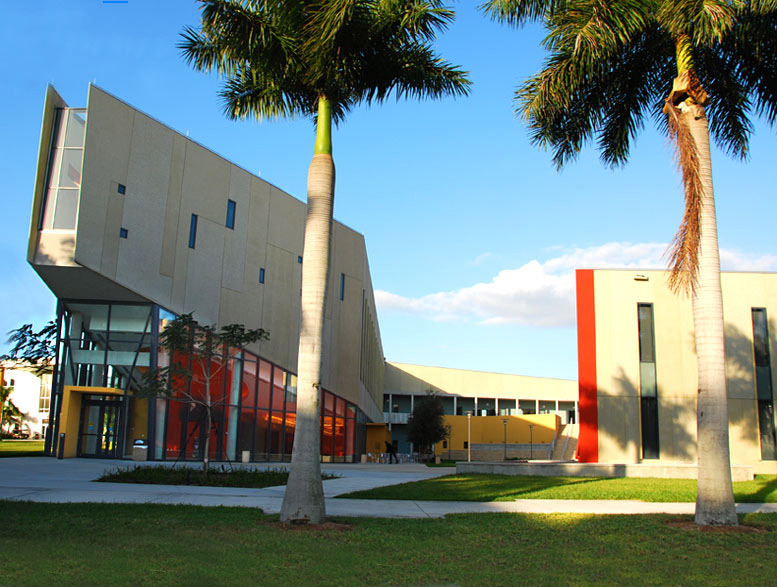 Located in Miami, Florida, The Graduate School of Business is characterized by its rich active learning environment extending beyond the classroom, into the surrounding community, and across borders. Miami is recognized worldwide as the "Gateway to the Americas"; students enrolled in the programs are completely immersed in this world-class trade and commerce hub. The school has made significant investments over the past years in the fields of information technology, international business and entrepreneurship, helping it to gain national recognition in those strategic areas. FIU's Graduate School of Business offers top-quality academic programs leading to an MBA: - The one-year, full-time International MBA is completed in four quarters. Students complete all core courses, including a foreign language (Spanish, Portuguese, Chinese, or advanced business English) during the fall, winter, and spring quarters, leaving the summer quarter free to do a business internship, take specialization courses at FIU, or study abroad with academic partners in Latin America, Europe, and even China. - The Executive MBA is designed for mid- to senior-level executives. - The Professional MBA offers a lock-step program with classes held on Saturdays. - The Flex MBA offers students a flexible program with an alternating schedule of online and face-to-face classes. - The Corporate MBA is an online program that allows students to set their own pace and convenience by choosing the time and location of their coursework. - The Healthcare MBA is designed for individuals who want to advance in the field of healthcare. Executive MBA - 20 months; Professional MBA - 18 months; International MBA - 12 months; Master of Accounting - 10 months; Executive Master of Science in Taxation - 12 months; Master of Science in Finance - 12 months; Master of Science in Management Information Systems - 12 months; Master of Science in Human Resource Management - 12 months; Master of International Business - 18 to 24 months; Master of Science in International Real Estate - 12 months. The University has a number of additional specialized research centers. Carlos Migoya - Regional Pres., Wachovia Bank, N.A. Dennis Klinger - VP & Chief Info. Off., Florida Power & Light Com. Want more info about Florida International University, Chapman Graduate School of Business Part Time MBA? Get free advice from education experts and Noodle community members.